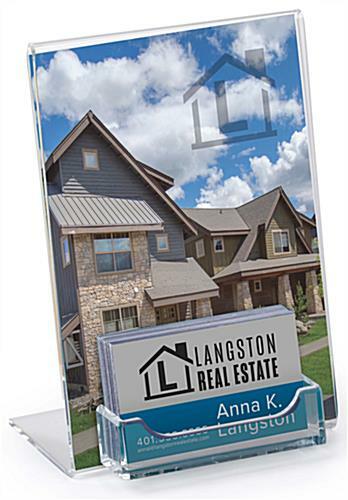 This acrylic business card display includes a sign holder designed to hold 5" x 7" graphics. 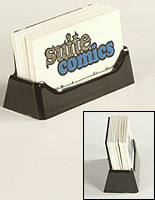 Slide paper in the back sides of the sign holder for fast changes. 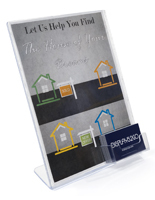 Essentially, this little stand is two-in-one display - an acrylic sign holder plus standard business card holder pocket for your company's card. 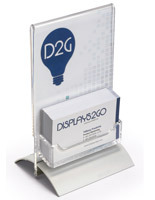 The unit also works great on store, gym, or doctor's office counters! 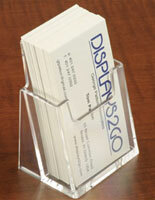 We bought 20 of these to get our promotional cards out to key locations. 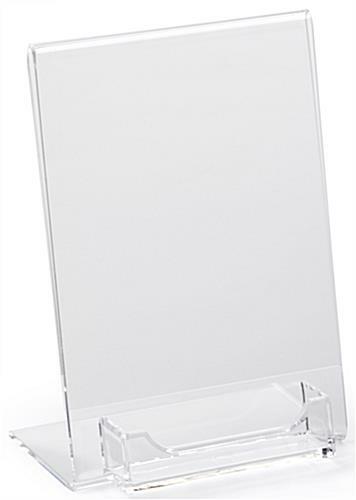 These give us great visibility, but don't take up the amount of counter space that a traditional 8 1/2 x 11 would hog. Perfect! This sounds like a great solution, Andrea! We're so happy to hear it. Thank you for taking the time to leave such a nice review! Great Product! 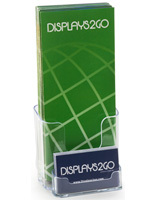 We order all of our signs from Displays 2 Go! 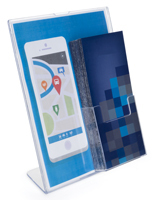 I've ordered these in the past from "Displays2go" and I'm happy they still offer these high quality ones and not opting to get lower quality ones that others offer. As long as these stay the same, I'll be a loyal customer!!!! This product is just what we needed! 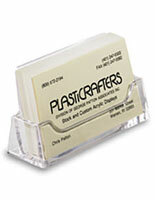 Durable, clear, and perfect for our needs. And quick delivery, too! We're so glad to hear it, Jeanene! Thanks for shopping with us. 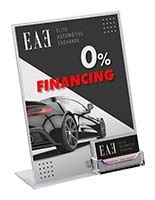 The 5 x 7 Sign Frame is an item we use all year to display our promotions at local businesses. Perfect for our marketing efforts! Excellent quality!